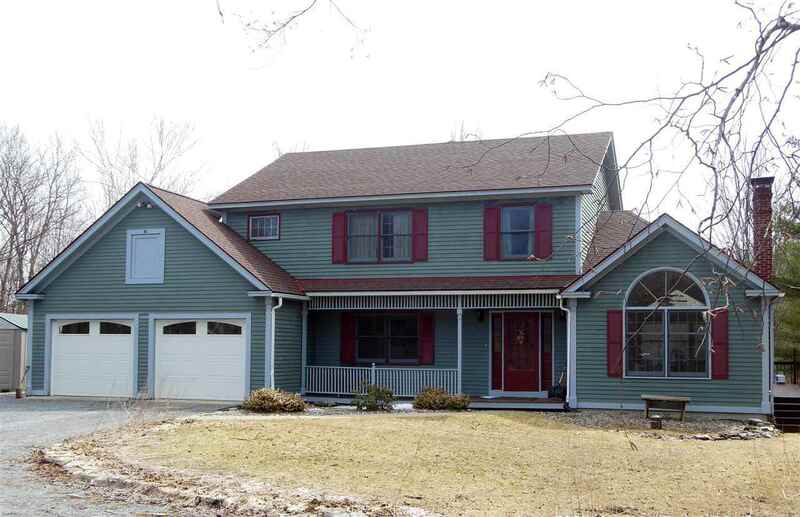 This spacious four bedroom, three bath, well maintained colonial on 5.41 secluded acres has lovely wood floors on both levels. A generous deck wraps around the side of the house. On the first floor you&apos;ll find an eat in kitchen, a formal dining room, living room and an office and three quarter bath. Upstairs is a generous master and ensuite bath, three additional bedrooms and a full bath.An efficient multi-zone combination wood/oil furnace provides heat. Basement is partially finished with a walk out entrance. A full house automatic generator is ready for any power outage. And a large two car garage completes the house. Also on the property is an additional one car barn/garage and a 40 x 42&apos; shop perfect for any toys or projects you may have.